NEW DELHI: The rupee on Wednesday opened 5 paise up at 63.99 against dollar on account of selling of American currency by banks and exporters. The local currency on Tuesday settled 11 paise down at 64.04 a dollar. According to market experts, foreign capital outflows impact rupee in the previous session. Foreign portfolio investors stood net sellers in domestic equity markets on Tuesday and sold shares worth Rs 415.51 crore with gross purchases and gross sales of Rs 4042.99 crore and Rs 4458.50 crore, respectively. Government bonds ended little changed on Tuesday, as investors deferred purchases amid concerns that August’s retail inflation rate will likely accelerate, denting hopes of a near-term rate cut. The GoI benchmark 6.79% 2027 bond yield declined to 6.55 per cent from 6.56 per cent in the previous session. Meanwhile, domestic equity markets opened on a flat note following mixed global cues. The BSE Sensex opened 30.29 points, or 0.09 per cent, up at 32188.95, while NSE Nifty index opened 6.20 points, or 0.06 per cent, up at 10,099. 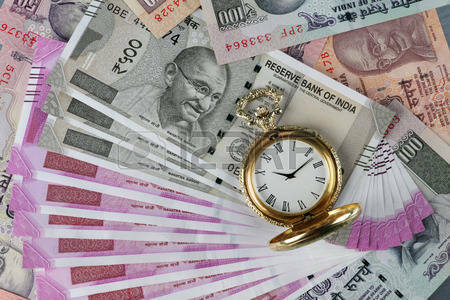 Be the first to comment on "Rupee opens 5 paise higher against US dollar at 63.99"